For the last six years, our family has been creating Portable North Pole (PNP) Santa calls for our children. My Dad started this tradition with our eldest son and we have carried it on. 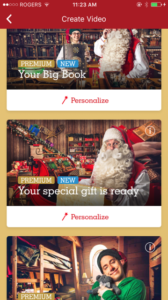 Portable North Pole (PNP) allows parents (or grandparents/aunts/uncles,etc) create a personalized video call for the special child in their life. They can personalize it with their name (which you can choose the right pronunciation of the name), their pictures, an achievement they made this year and what they have been asked to do this year. At the end of the video the child finds out whether they are on Santa's naughty or nice list (not going to lie, my husband and I made joke ones for each other that the kids think are hilarious as Daddy is always on the naughty list!). Each year the video calls are different with the most amazing attention to detail. The calls are engaging and Santa is animating and attentive. He really makes you feel part of the video call. Our youngest sits there listening to his video answering 'yes Santa', 'I will try Santa' and 'okay Santa'. It is priceless and something we can't wait for them to experience each year. 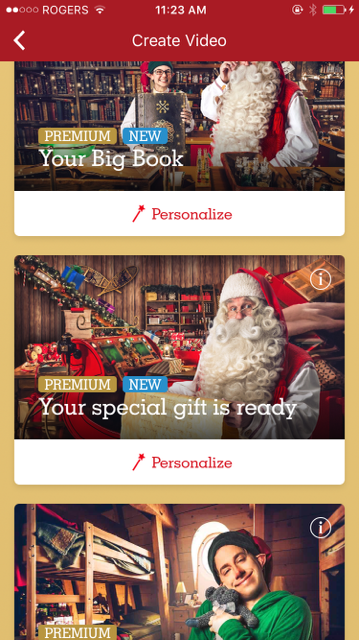 With the magic pass, you have access to all of the premium videos for an unlimited amount of video videos, a reaction recorder (this is for the mobile app), unlimited Santa calls, HD downloads of your videos and a story time video with Santa every week during the month of December. 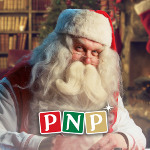 Right now you can save 20% on the PNP Magic Pass by visiting their website here. I highly recommend downloading the app on your phone for the PNP. You can always watch the videos online but the app has so many extras that are perfect for parents and kids. There is a parent section (password protected! ), where you can create the videos as well as email them. I used the app to create all my videos this year. There is also a call button on it that I have convinced my youngest and all his friends that it gives me a direct line to Santa when they are being bad. 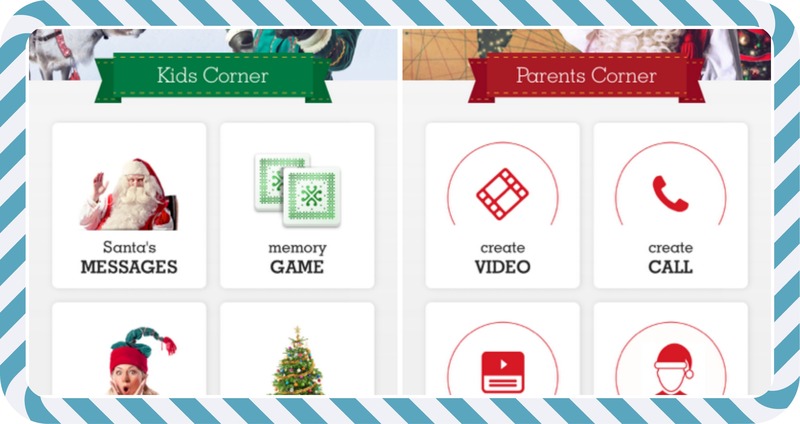 The second section is just for kids where they can playing a matching game, tree shaking game and watch their videos. Make sure you follow Portable North Pole online to keep up with all things Christmas and Santa, you can follow them on Twitter, Facebook and Instagram. Happy video calls!